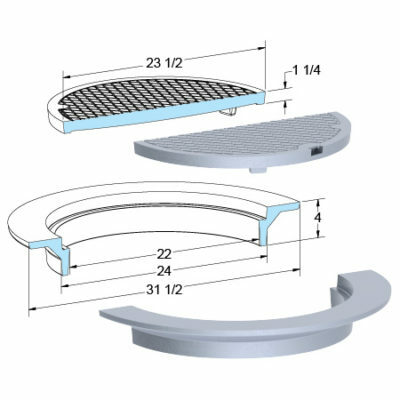 Built Up Drainage Rings and Covers are designed to sit on top of precast concrete or brick buildup for easy field adjustments to desired finished grade elevation. They come in a variety of sizes and load ratings. 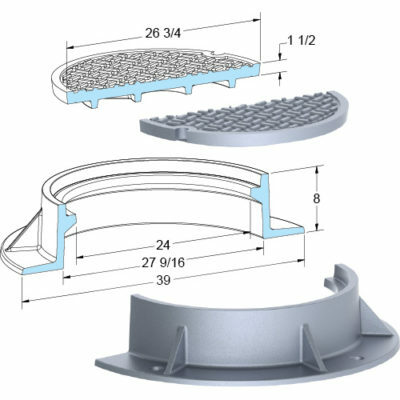 Slab Type Drainage Rings and Covers are designed to sit flush in a precast concrete. They come in a variety of sizes and load ratings.